Soul Communication is born from the union of different techniques that have helped me to communicate with the soul: Reading Records Akashic, soul realignment, ThetaHealing, biodecoding, regressive therapy, family constellations, kinesiology, Dowsing and Mindfulness. All of them synthesized and focused on discovering our Ikigai, as well as what hinders and how we can reach it. Learning 9 different techniques of access to your Akashic registry, so that you can access it at any time in your daily life and allow you to receive the answers of any question you need, both your practical and spiritual life and so to guide to your Ikigai. 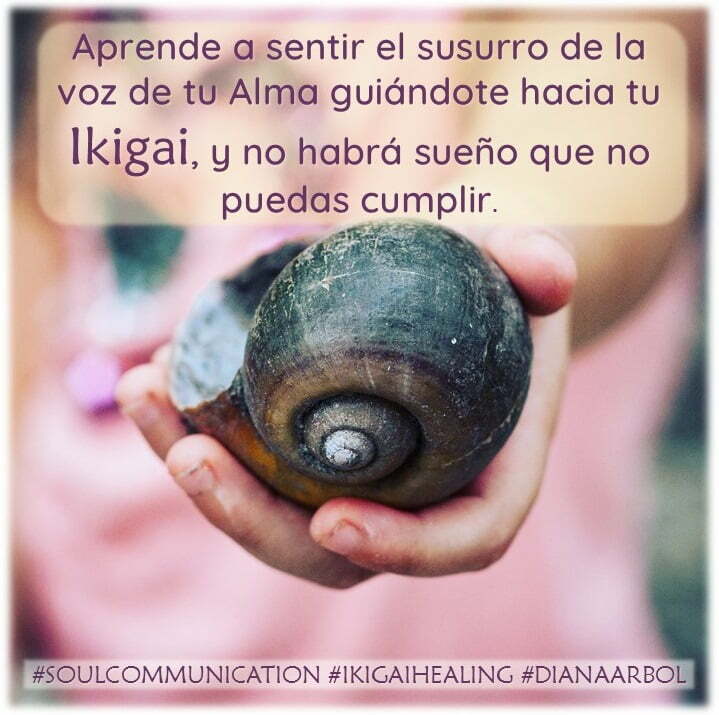 You will also visit the temple of the Akashic Records, meet your guides and discover how they communicate with you through your soul, both internal (your inner voices) and externally (Sincrodestino), to understand the signs that come constantly and So that you can flow in your life to your Ikigai. The course I will give in Barcelona can be done online from July 2018.